Ned has been building websites and custom internet solutions since Netscape Navigator 1.0 hit the stage in 1995. He has worked with Bluetent as a consultant and strategic partner since 2003, and as CTO since 2013. As a longtime resident of the Roaring Fork Valley and the resort areas of Aspen and Snowmass, Ned brings first-hand experience of the vacation rental, recreation, and travel industries to crafting digital marketing and eCommerce solutions for online travel distribution and sales. When not staring intently at lines of code, or pushing a pixel from here to there, Ned spends his time living the good life in the Colorado Rockies, building a family, pursuing health and wellbeing, and looking for any possible excuse to spend more time skiing, hiking, biking, running, laughing, camping, playing, and anything else that doesn’t sound like “work”. 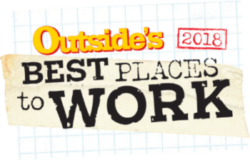 Best Part of Bluetent: Being able to work with cutting-edge technology, diverse global customers, and creative, energetic people while living in one of the world’s greatest outdoor playgrounds.